Search service now for sellers and buyers! We are happy to provide both buyer and seller clients a “no-charge-no-obligation” home search service on properties in their area of interest. While most buyers may be familiar with this service, we find it is also extremely valuable for those selling or contemplating a sale of their home. 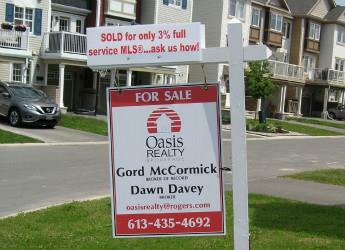 -sellers stay on top of market dynamics by seeing all new listings in the area. If you are selling, this is your competition which changes daily, so it is important to stay competitive. New listings, price changes and sales can change your properties market positioning very quickly and sellers can really benefit by being fully informed. -sellers will also be able to follow listing sales cycles and see how long it takes properties to sell and the final selling price. -buyers can receive a more detailed listing view than appears on the public sites which gives them better insight in to a listing. This includes date listed/time on market, detailed sales history for the current listing and also previous listings for the property, price changes, previous photos etc. Register to join our Instantaneous Listing Notification Service and you will be automatically notified of all new listings that meet your criteria, before they hit the public MLS®. You get notified of new listings by email the instant the listing brokerage hits the submit button to enter a new listing. This means you get immediate access to new listings and can beat other buyers to investigating the property. In this low listing inventory market; this should be considered an essential tool for all buyers. This service is FREE! This will save you web surfing time and help ensure you get to see hot new listings first! Not only will you be notified by email of all new listings that match your search criteria within our website, but your home search will also be compared against other participating REALTOR® listings within your desired area(s). All new listings added to the system that match your criteria will be immediately emailed to you. You will also be notified of status changes when listings are conditionally sold or sold.